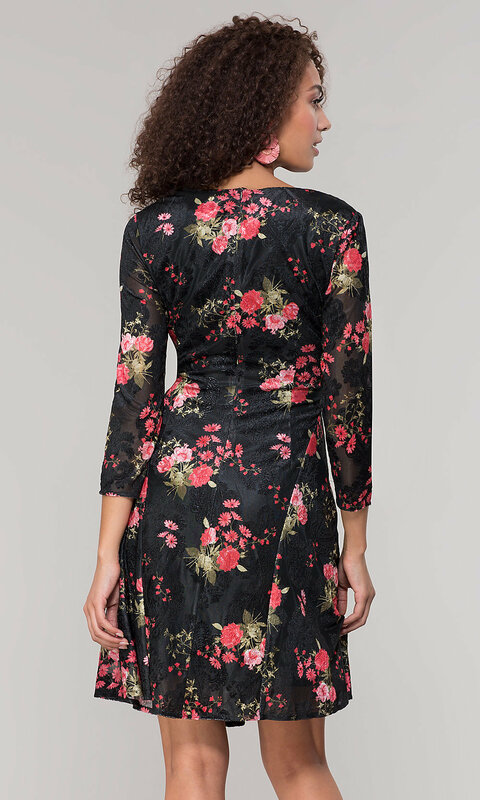 Rich texture and a vivid print make this short velvet party dress a winner for your semi-formal event. 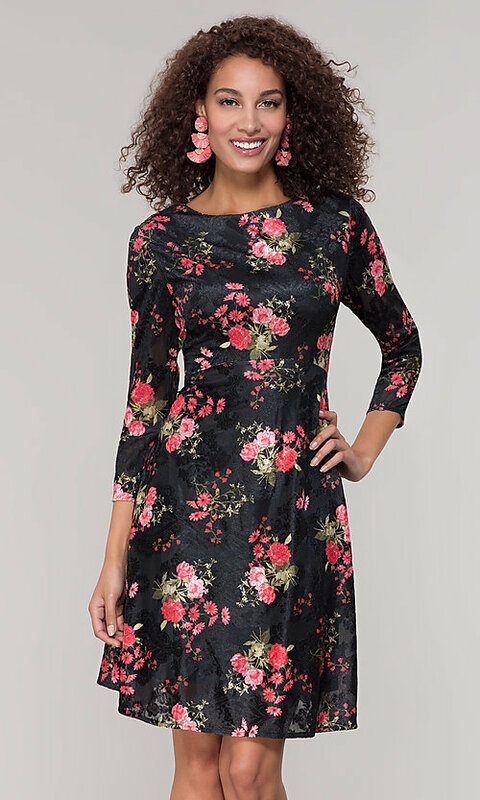 Red and pink flowers contrast beautifully against the black velvet fabric creating a feminine look to this floral-print dress. The little black dress has trendy three-quarter-length sleeves and a modest high-neck bodice for coverage. A knee-length short a-line skirt flows away from the hips to flatter the figure in this sweet semi-formal dress. 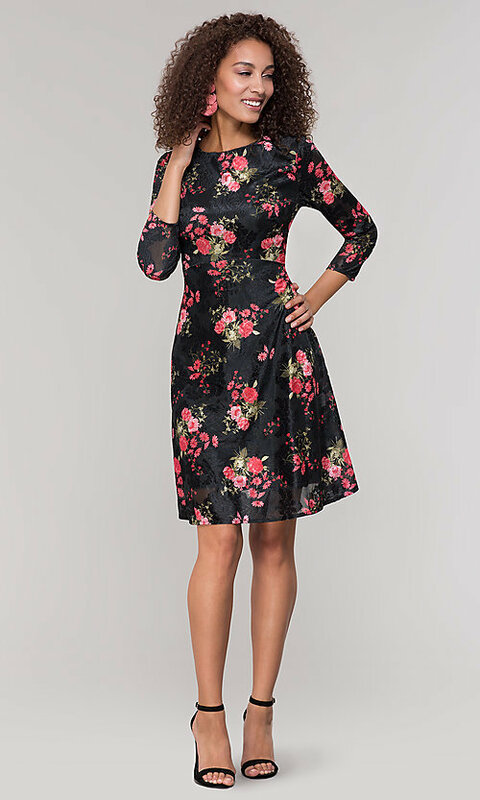 Lovely for cocktail parties, holiday celebrations, and wedding receptions, this short velvet party dress, under $100, fuses affordability with eye-catching details.